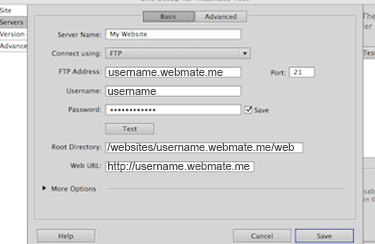 Use Dreamweaver to upload your files directly to your web space. When you have created your website in dreamweaver, you will need to publish your website to your web space. Once you have opened Dreamweaver Go to Site (top of screen) and click Manage sites. 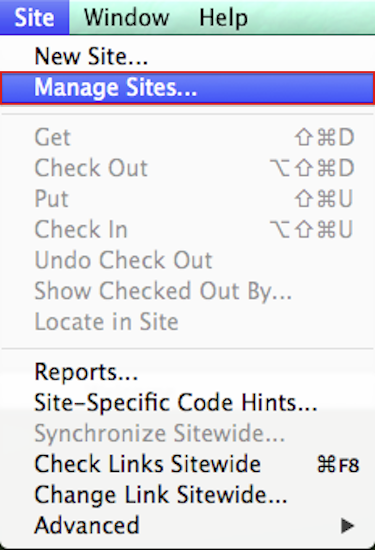 Click on your site name in the list and select Edit. Select Servers in the panel on the left. 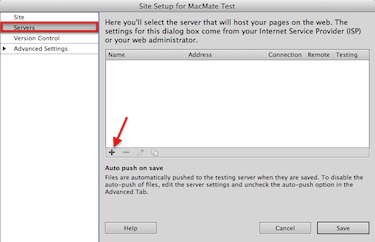 Either select your server or click “+” to create one. Fill out the form with the FTP details that were sent to you after signing up.